My notes for the batch 1 (very little left of this precious bottle and all sold now) are here. I was surprised to stumble across this on the Master of Malt site. 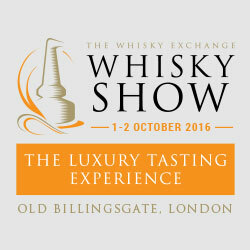 There was no fanfare from DLaing, not stocked at The Whisky Exchange and not on pour at the Whisky Show (nor was batch 1 last year). Why so little love for the Tomatin OP? Another 20% on the price this year unfortunately too. I still love you, Tomatin OP. Cask strength, refill hogshead, February 1994 to August 2014. Cask 10442. Nose – Initially this put me so in mind of its predecessor I thought I’d had a mixed up sample, but side by side they are certainly different whiskies (different colours for one thing, although I’d be unsurprised to find out they were the same cask bottled a year apart). Very malt forward, like batch 1, musky oak and a very adult sweetness. Fruity in a deeply Asian way with extra dried bananas and dried cranberries. Body – Very Old Particular. Structured and toffeed, lots of malt extract, spice and waxed wood. Finish – Long, malty, a little spicy, well balanced and shares the Old Particular and Tomatin DNA. Deeply addictive, like the previous cask. Why are both Tomatin OPs so similar? What’s not good about it – It isn’t what you’d expect from a Tomatin – so malty and austere. But digging reveals the Tomatin. What’s good about it – The tasting notes on the original bottle sum it up – “attractively malted”. I have to agree. Beautiful malt, fruit, enormous character and structure. Complex, delicious and balanced. Compared to batch 1 – 1 is more sourly and spicily fruited on the nose, whereas 2 is a touch waxier with more musk and a little more malt. In the delivery, 2 is more lacquered, more bitter and has a longer, spicier finish. Whereas 1 is more gentle, but still with a bitter structure to it. Side by siding them, I think I prefer the 1, however 2 is a little more accomplished and better rounded. Remember thought that my bottle of 1 has been open almost a year. Honestly there’s not a lot in it though. Wonderful stuff. Thanks to Cara Laing for the sample of batch 2!